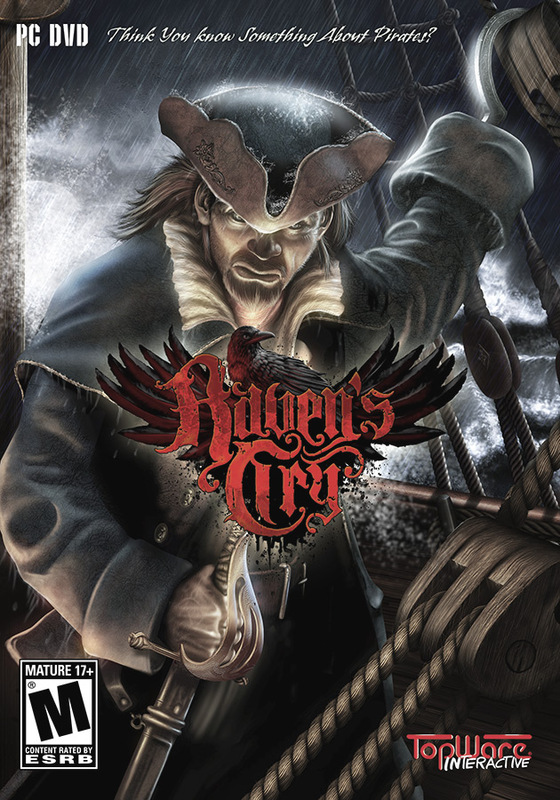 “Raven’s Cry” is a third person RPG-adventure game that combines fast-paced swordplay, thrilling naval battles, and free ranging explorations through undocumented islands and historical towns. A cadre of colourful cutthroats will cross your path on your travels, all with their own motivations and plans, but make sure to choose your crew with care! The fast paced combat system in Raven’s Cry is based on the traditional art of fencing, combined with historical firearms, the always messy hook, and good old fashioned street fighting, allowing players to dispatch foes in a variety of grisly ways. Christopher’s hook acts as both a symbol of his childhood tragedy and a brutal tool of his revenge, playing a crucial role in “Raven’s Cry”. Upgrade your abilities and learn new skills and attacks that will make your enemies literally tremble in fear. How you kill is up to you, and as long as Christopher is the last man standing, no trick is too dirty, and no attack is off limits. The more violent and depraved your actions become the more you will influence your surroundings, as both foes and citizens alike will learn to fear you, sometimes with unexpected consequences. Regardless of whether you play as a badass or just a plain bad guy, “Raven’s Cry” offers multiple ways to gain victory; it’s up to you to decide if Christopher reaches his goal with his soul intact. Christopher’s raven has been with him since the day his family was killed, always reminding him of how much he has lost. Much like his fearsome hook, the raven has become a tool of Christopher’s revenge, strangely seeming to be linked to Christopher, almost as if it understands his wishes…and desires revenge as well. Christopher takes control of various ships on his crusade, and few are acquired legally. He can gain a reputation on the high seas just as easily as he can in port, and your actions will influence your enemies, causing them to be cautious of you and keep their distance, or forcing them to join up with other pirates to attack you en masse. Christopher is not without resources of his own however, as his ships can be upgraded and customized for a price. Christopher can also fly different flags, misleading his enemies and hiding his identity. As captain of the ship, you must maintain complete control of your ship and crew at all times. Your men will follow your orders, but you must make sure they’re well taken care of to ensure their complete cooperation. A crew’s morale is the lifeblood of any vessel, and they will complete their ordered tasks as well as you treat them. No matter how well you care for your crew, sometimes as captain you just have to do things yourself. “Raven’s Cry” offers few “helping tools” during battle, so you must be on your toes and ready to act at a moment’s notice. “Raven’s Cry” is more interested in realism than hand-holding, so you’ll find no beams of light showing your cannon-ball trajectory, nor will an auto aim assist you in precision shots to take out your enemies masts. Gain enough experience, and you’ll earn new skills, like the passive “pack rat” that allows you to store more goods on your vessel, and the feared “son of a gun” perk that increases the damage you deal with your firearms and cannons. Christopher is dedicated to his revenge, but waging a one-man war can be expensive, and Christopher is far from rich. Earning gold is critical in “Raven’s Cry”, and there are a variety of ways to obtain it; from smuggling and trading, to looting and robbing, Christopher must keep his coffers well stocked in order to be prepared for what’s to come. Gold and information are the most important currencies in “Raven’s Cry”, and more often than not, the two go hand in hand.